Srinagar is the capital of tourism in Jammu and Kashmir. It is the hub of all tourists looking for a vacation away from their city lives. Quite often because of this, Srinagar has become crowded and a little too tourist-y but it remains the go-to destination for anyone who wants to explore the state. 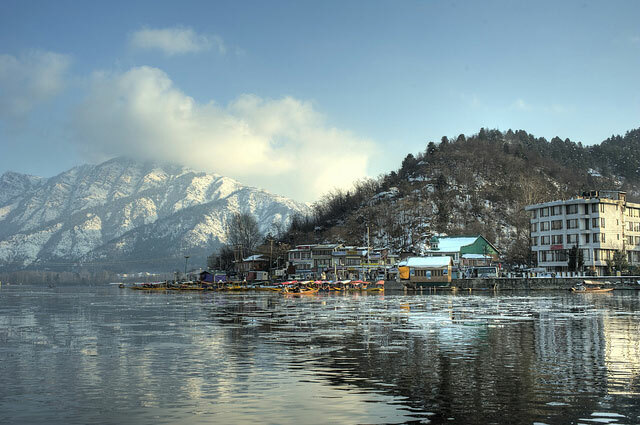 The iconic Dal lake where one can hire shikaras and buy souveniers from floating markets or the Old City charm of the bridges over the river Jhelum, Srinagar has a spot for everyone and anyone. An expedition or vacation that involves touring the state of Jammu and Kashmir cannot be complete without the requisite buying of Pashmina shawls from the city. Srinagar is the commercial hub of the state and remains the heart of Jammu and Kashmir. Leh has recently witnessed a splurge of tourists after few movies were filmed here. Leh is situated at an altitude of 3524 ft. It is a picturesque place with clear water lakes and tough terrains but the views are absolutely breath taking. A lot of trekking trails originate from Leh but the major attractions of the place are still the historical monuments like the Shanti Stupa and the Leh Palace. 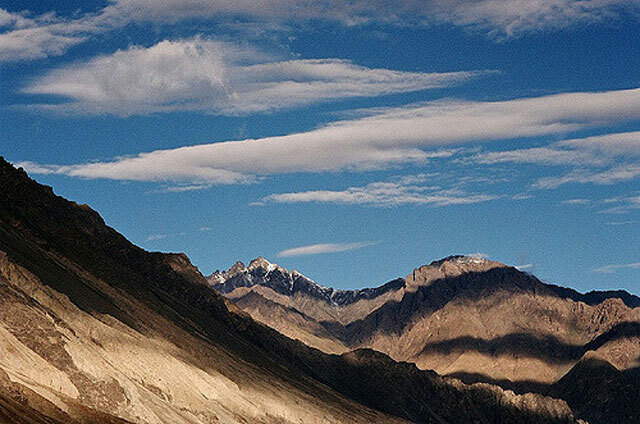 With beautiful scenery and loads of monasteries and lakes to discover, grab your DSLR and head to Leh! Gulmarg is a hill station that is known as one of the most popular skiing destinations of the country. It was originally known as ‘Gaurimarg’ in the honor of Goddess Parvati. The story behind the success of Gulmarg as a winter getaway starts with the British when they came to the city to escape from the summers of North India. The trend continued and today Gulmarg is one of the most popular destinations of the State. The snow fall here makes it the best place for winter sports like skiing and snow-boarding. 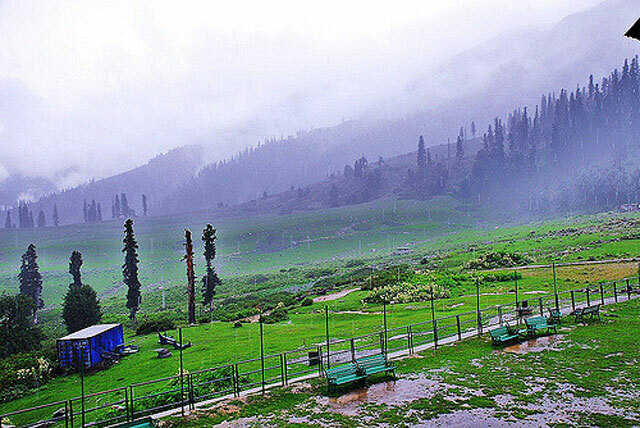 Gulmarg is like heaven on earth when snow falls and thus, is a must-see while on vacation. Situated on the banks of the Lidder River. 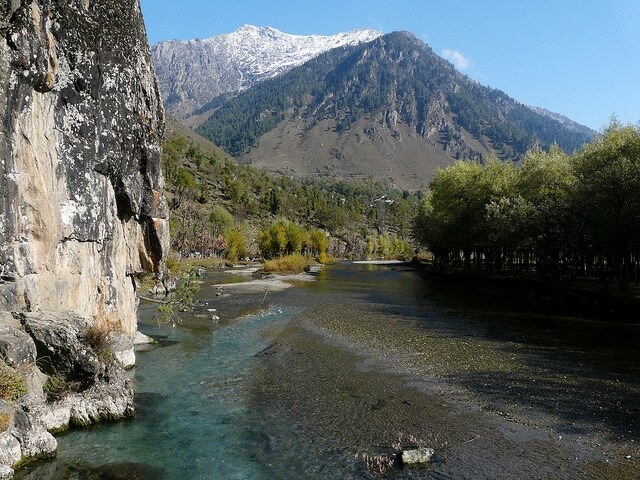 Pahalgam is located at an altitude of 7,200 ft. Pahalgam is known for the Amarnath Yatra that takes place annually but it is also known as the valley with beautiful lakes and streams that make perfect picnic spots. Many iconic movies were shot here and the valley is filled with exquisite flora and fauna. The Lidder river itself is the best place to spend a night at a campsite to truly experience nature. Katra is popularly known as Katra Vaishno Devi and is situated in the foothills of the Trikuta mountain range. It is the place where the holy shrine called Vaishno Devi is situated. The town as a huge tourism industry due to the importance of the pilgrimage to Vaishno Devi in the Hindu religion. There are plenty of hotels and transport services that operate here and the place is best for a pit-stop while on a tour of Jammu and Kashmir. 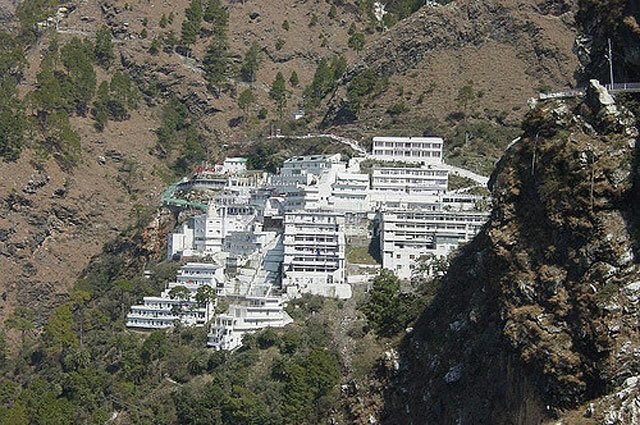 The Vaishno Devi pilgrimage is a 14km trek that can be done on foot, on ponies or by helicopter services to an extent. The journey is beautiful and the landscape is spectacular. Not only does it give one the chance to experience something divine, it also brings one closer to nature while walking upwards towards the shrine. Katra is a must visit for the spiritual as well as the adventurous who want to experience nature like never before. Jammu is the winter capital of the state and is the starting point for a lot of pilgrimages that go to Vaishno Devi and the Kashmir valley because it is well connected by the Indian Railways. The city has a lot of attractions that range from palaces to parks and temples. There are also forts like the Bahu Fort that is also a temple and is locate dabout 5 km away from Jammu on the banks of the river Tawi. Peer Kho caves are another interesting place to visit as it is located next to the river Tawi and has 12 Shiva Lingams. Jammu city is the perfect combination of a hill station and a city and is a must visit when you’re visiting Jammu and Kashmir. 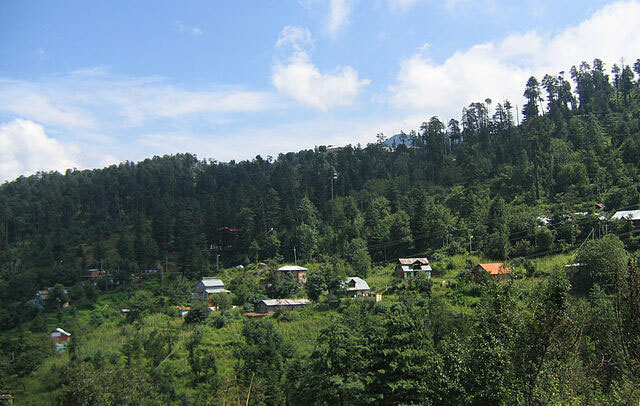 Patnitop is located in Udhampur district of Jammu and Kashmir and is located on a plateau. Every now and then when the snowfall is too much, the National highway gets blocked but when the tourist season is on, the hill station blossoms with beautiful mountains surrounding a majestic little town. There are lakes and temples that one can visit like Naag mandir and Nathatop. The little picturesque town is perfect for a honeymoon away from the noise of big cities and provides the seclusion that couples want. Jammu and Kashmir has a beautiful hill station in every nook and corner. The Himalayas play host to a variety of little towns and cities that have so much to offer. 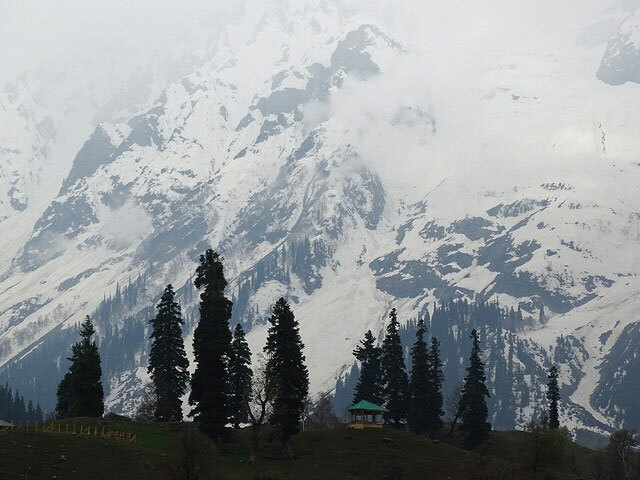 Next time when you are planning the family vacation, pay a visit to Jammu and Kashmir and witness heaven on Earth.